Are Power Banks Allowed on Planes? Everything You Need to Know About F — Gadget King Pte. Ltd. The post Are Power Banks Allowed on Planes? 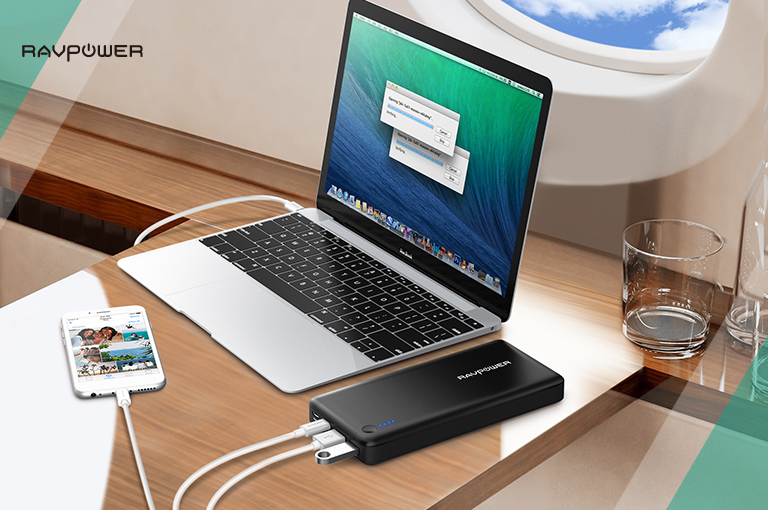 Everything You Need to Know About Flying with a Portable Charger appeared first on RAVPower. Update: We’ve created the ultimate guide to flying with a power bank, including a list of airlines and their portable charger rules. Download in the sidebar. Knowing what technology you can and cannot take when flying poses some challenges. This is especially so in an era of strict rules, unruly TSA agents, or being dragged off a flight. One of the more complicated issues that travelers encounter when flying is what to do with power banks. If you’re worried about your charger being confiscated or are generally concerned with the safety aspects of being in the air, here’s everything you need to know about flying with a power bank. Why Can They Only Be Brought on with Your Carry-On Baggage and Not Checked in with Your Luggage? On the surface it might seem slightly illogical since, either way, both of them will be on the plane. A closer look reveals a different story. Since some “batteries contain both the oxidizer (cathode) and fuel (anode)” there is always that slim chance that the internal battery will react chemically, explode, and cause a fire. Of course, not all batteries react that way, but as an issue of safety, airlines put blanket restrictions on batteries. If a battery causes a fire in the cabin, the crew can put it out with minimal damage and everyone can get to their destination relatively unharmed. If, however, a fire starts in the cargo hold, not only is it harder to put out, but another flammable substance that’s been checked in could react with the fire causing serious damage to the plane and even losses of life. The restrictions as per the Federal Aviation Administration are for lithium-ion batteries rated above “100 watt hours (Wh) per battery”. Anything above that limit is restricted. While that limit allows most power banks to be brought on flights, there are still consumer power banks that exceed that limit. Thankfully with prior approval from an airline, power banks rated 100.1-160 watt hours can be taken onboard. Why Is Wh Used and Not mAh? While power banks are marketed by their milliampere hours (mAh), this standard is only useful when comparing products that use the same type of battery e.g. lithium ion, alkaline cells, or NiHN cells. Whereas, watt hours refers to the fact that the battery can supply a certain amount of watts per hour. This is a better standard as watt hours provides a consistent way to compare different types of batteries, rather than the same type of battery. Here is a quick rundown to help you. Milliamp Hours (mAh): How many hours the electric charge can be supplied. Nominal Voltage: “The midpoint between full charged and fully discharged based on a 0.2C discharge”. For a lithium-ion cell, this is typically 3.7V. Watt Hours: A unit of energy that indicates the amount of watts supplied in an hour. As it’s under 100Wh, you can bring it with you on the airplane. As it’s over the limit, you would need approval from the airline to bring it on. Thankfully, all recent RAVPower power banks have the Wh printed onto the charger so you don’t need to do the math yourself. Simply show airport security if there is ever any confusion. What If My Charger Exceeds the 160Wh Limit? In that case, you need special permission to bring it on. It will also be packed in a special area of the cargo hold as per the IATA’s Dangerous Goods Regulations. Does My Power Bank Need Any Protections to Fly With? Yes, it means that battery terminal ends must be protected from short-circuiting. 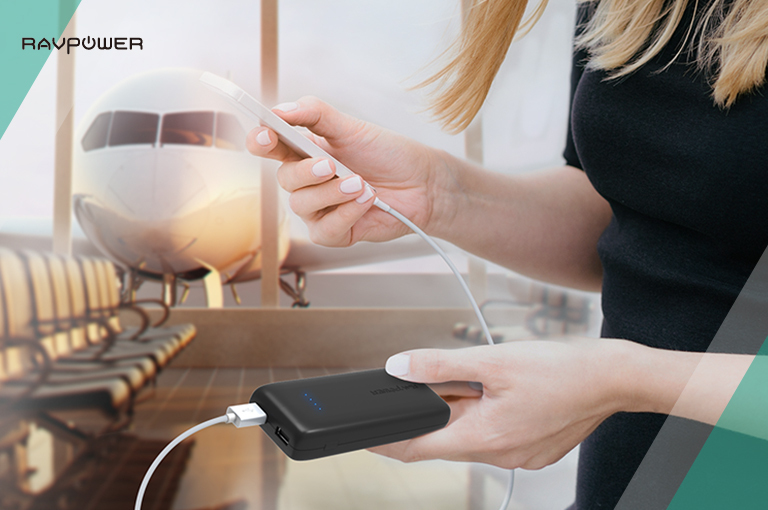 All RAVPower power banks feature short-circuiting as well as a number of other protections so you may fly with them. If, however, you pack a power bank that does not feature internal protections, there are safety methods you can take. These include makeshift safeguards like leaving it in its original retail packaging or covering the ports with tape. Not exactly convenient. Non-rechargeable lithium metal batteries have a 2 gram per battery restriction on airlines. Power banks, however, use a rechargeable lithium-ion battery so the only size limit is the aforementioned 100Wh. When travelling with technology it’s always better to be informed than to fly clueless. From storing power banks in your carry-on, to size limits, we hope you’re better prepared for future air travel. 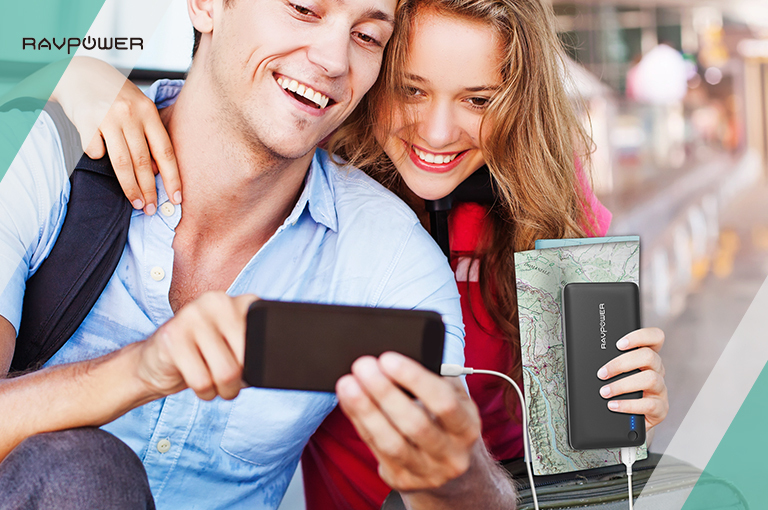 For a power bank you can take while flying, get RAVPower’s 22000mAh Portable Charger here. Remember to let us know in the comments what you use your power bank for when flying. Want the complete guide to flying with your portable charger? We’ve created a free eBook with everything you need to know, including a list of airlines and their power bank rules. Note: If not in inbox, please check spam folder.